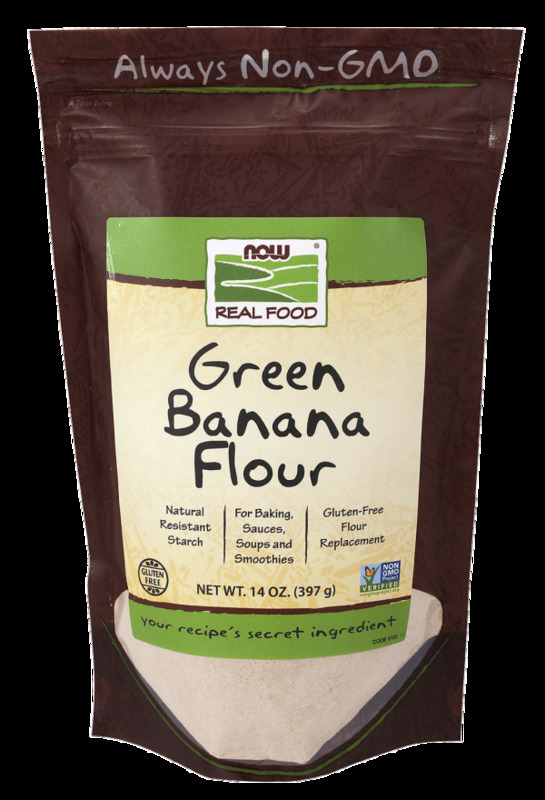 Although it sounds rather bananas, NOW Real Food® Green Banana Flour is actually an excellent gluten-free alternative to wheat flour. Made from fresh, unripe bananas, this pleasingly mild flour has almost no banana flavor, so it’s a perfect substitute in any recipe that uses regular flour. Better yet, you’ll typically need about 25% less banana flour due to its high starch content. This means you get light, fluffy baked goods without any grit or heaviness. Banana flour also has naturally occurring potassium and fiber and is a digestion-friendly resistant starch. From delicious cakes to sauces, soups, smoothies, and more, Green Banana Flour is a smart and wholesome addition to any recipe.